With two distinctive hotels and a variety of offerings perfect for couples, romantic getaways at Biltmore are certainly not limited to February. But in honor of “the month of love,” let’s take a look at our top five most romantic estate activities. 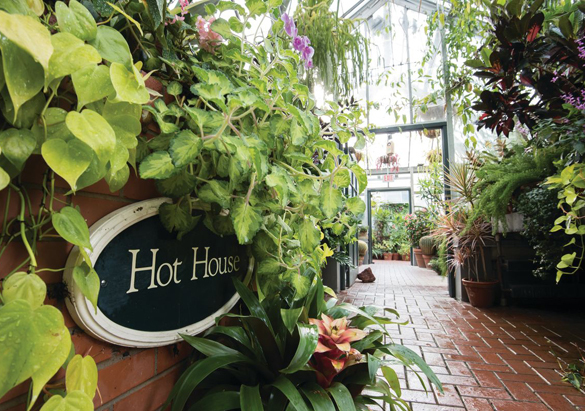 Located at the end of the Walled Garden, Biltmore’s Conservatory is a grand glass-roofed building that nurtures exotic orchids, ferns, palms, and more. When you enter this historic structure, you step into a world of indoor enchantment. Take your time strolling through its 7,000 square feet and get lost in the splendor of your own private tropical oasis. Share sweets with your sweetheart during this specialty wine experience and discover why these two aphrodisiacs are a match made in heaven. 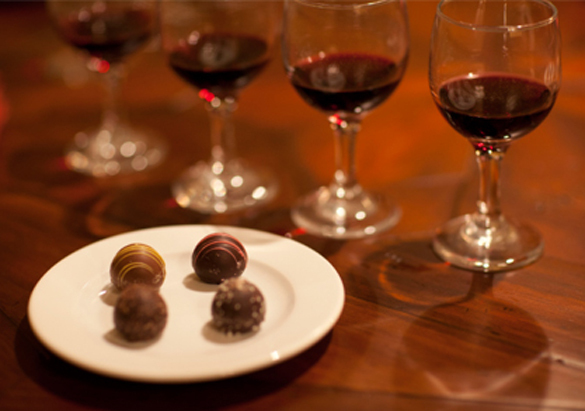 Our Red Wine & Chocolate Tasting is offered daily and features locally produced artisan chocolates—plus information about wine production at Biltmore, the process of farming origin-specific cacao, and its effects upon the finished product. 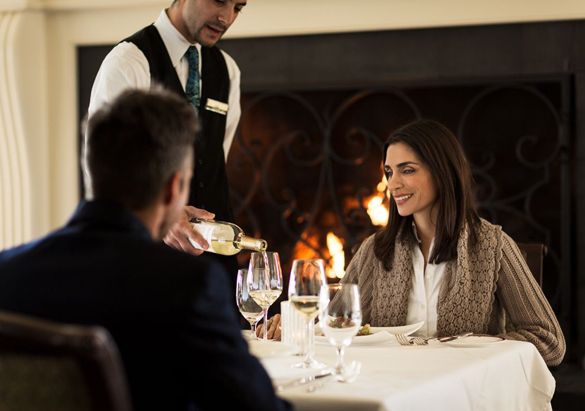 Recently recognized as Western North Carolina’s only restaurant awarded Four Stars by Forbes Travel Guide, The Dining Room at The Inn on Biltmore Estate™ has also been named One of the 100 Most Romantic Restaurants in America. Treat your loved one to expertly prepared cuisine that emphasizes estate-raised and local ingredients with world-class service inspired by the Vanderbilts. 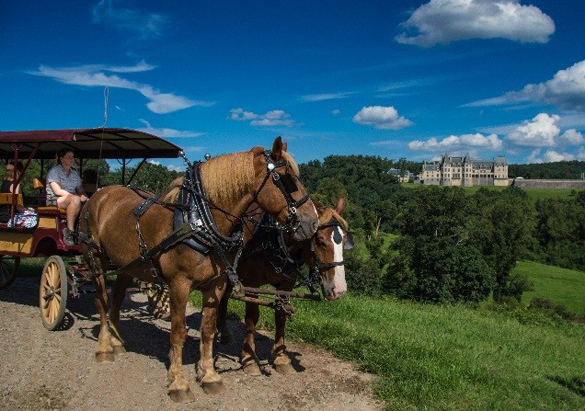 Relax aboard a charming carriage drawn by our Belgian draft horses as you take in picturesque views of Biltmore. We have a variety of Carriage Ride options. Choose a 30-minute or 60-minute ride aboard one of our multi-passenger carriages to experience the estate’s beauty in good company, or opt for a private 90-minute ride in an elegant vis-á-vis carriage—just for you and your valentine. The Spa Biltmore* at The Inn on Biltmore Estate™ is a petite facility offering luxurious treatments that incorporate the estate’s natural offerings into a soothing, restorative, and uniquely Biltmore experience. 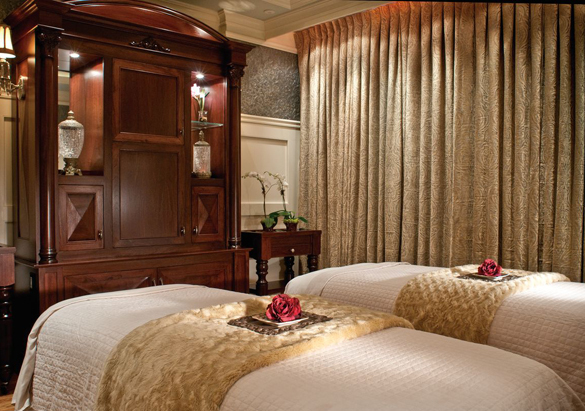 We invite you and your better half to indulge in seasonally inspired massages in our intimate Couples Retreat. No matter the time of year, Biltmore is the perfect place to show your significant other just how much they mean to you. And if you’re looking for a more outdoorsy approach to a romantic getaway, take a look at our top 5 most naturally romantic spots on the estate. *Access to The Spa Biltmore is reserved exclusively for guests of The Inn on Biltmore Estate™, guests of Village Hotel on Biltmore Estate®, and Biltmore Annual Passholders.